Today I have what should have been a CAS card for a musically minded Happy Birthday. 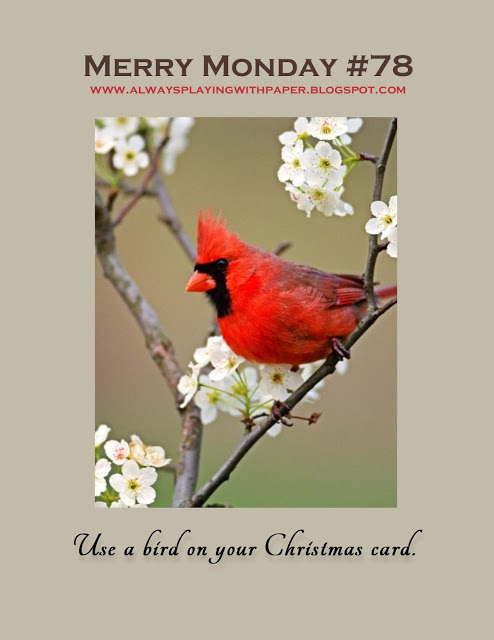 The card may look simple but I certainly did not make it that way :). I started with stamping the explosions in gray, then heat embossed the sentiment. I cut out the music note with my Sure Cuts a Lot software and Cricut and then added some twine and sequins. 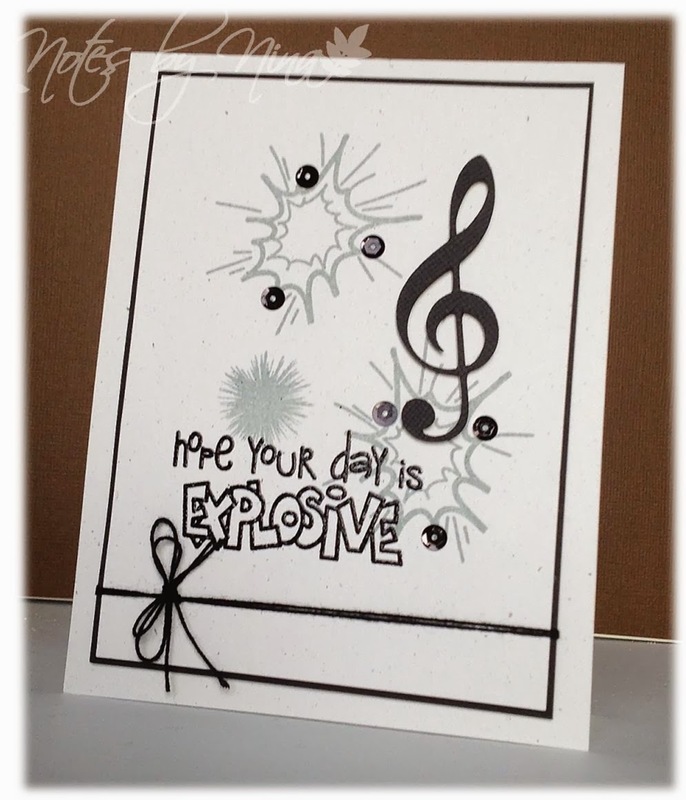 Supplies: White and black card stock, The Alley Way Stamps-Ka-Pow, sequins, twine. 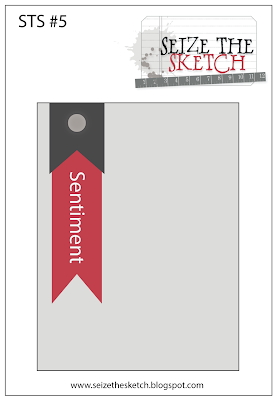 A quick card this evening for the current Seize the Sketch Challenge. I did not realise until I was taking a picture of my card that I did not use any stamps on my card just die cuts and fussy cutting. I also used lots of foam tape for the planes and sentiment. 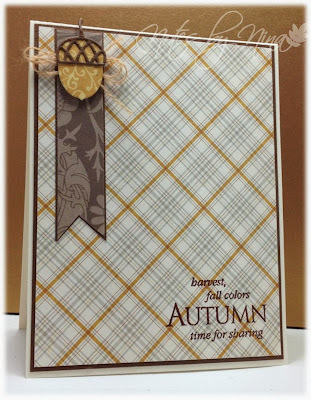 Supplies: Tan and black card stock, Designer Paper - Carta Bella, MTF - Die Cuts, twine. I had a wonderful weekend, a Dixie Chicks concert in Vancouver and a trip to IKEA. I have two storage units from there that I love for my craft supplies so I picked up another one to make organizing my stuff even easier. 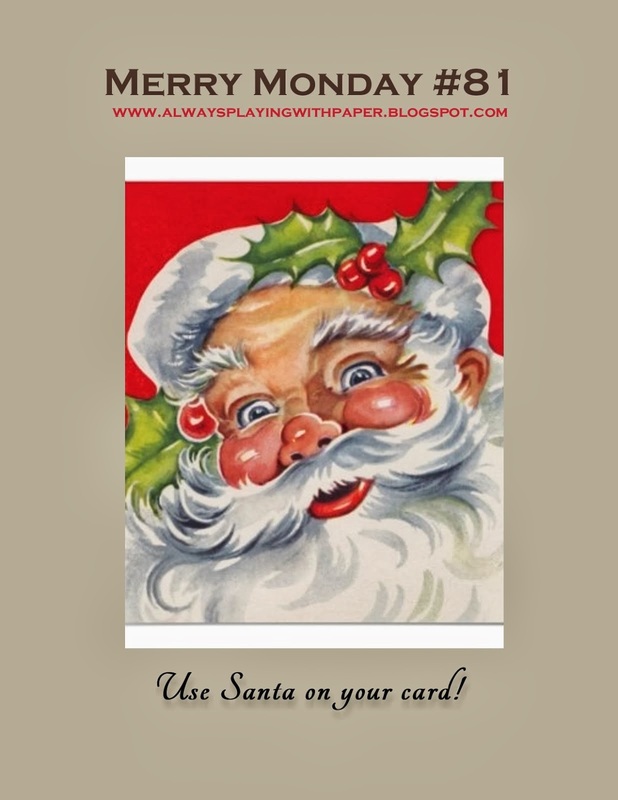 I have more Santa stamps in my supplies then I should really admit, but I like this vintage style paper that has a number of Santa’s on it. I added some pretty crumped ribbon and finished with a sentiment that matched the paper nicely. 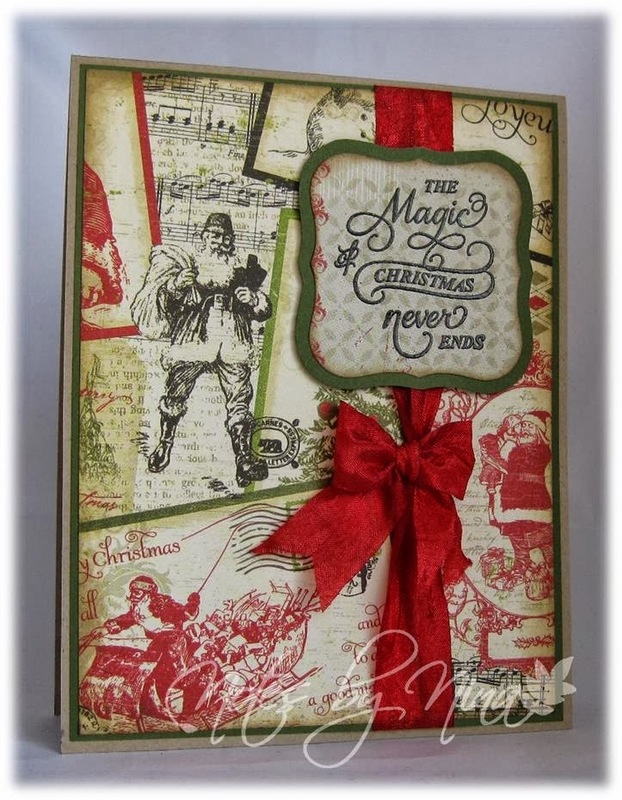 Supplies: Cream and green card stock, Designer Paper - Authentique (Wonder), Just Right-Christmas Inner Thoughts, ribbon. 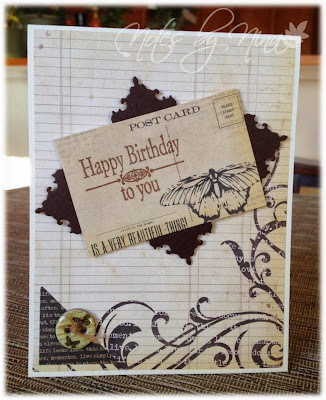 Stop by Lesley's blog and see the Design Team creations and join in the fun and play along with the challenge. This is the sister card to the one I posted earlier this week. I love the beautiful colour of the sequins. 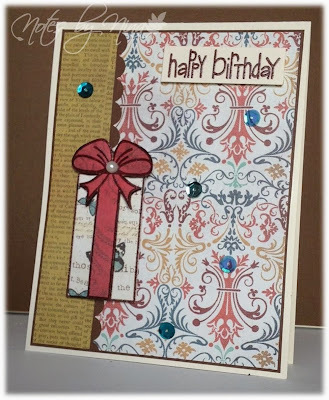 Supplies: Cream and brown card stock, Designer Paper - Prima, Papertrey Ink - Birthday Bash, The Alley Way Stamps - Wish Big, punches, pearls, sequins. Birthdays, birthdays and more birthday, it seems that Oct and Nov are big birthday months for card sending in my house. Today I am sharing the card I made for the current Seize the Sketch challenge. This is one of the paper pads I found this past weekend at the stamp sale. 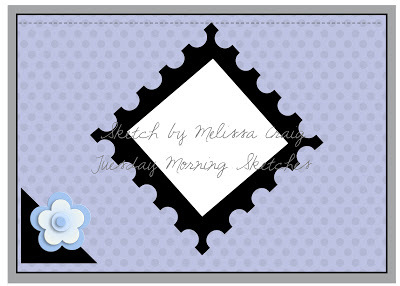 I love the cheerful bright patterns, I added a few flowers and some twine to the sketch. 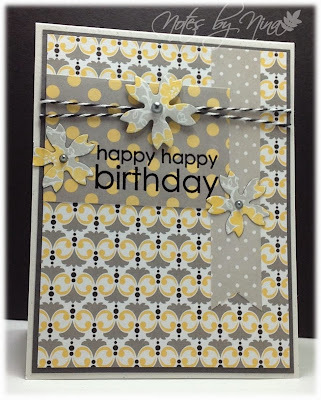 Supplies: Cream and grey card stock, Designer Paper - My Mind's Eye, Papertrey Ink - Birthday Bash, Memory Box dies, pearls, and twine. 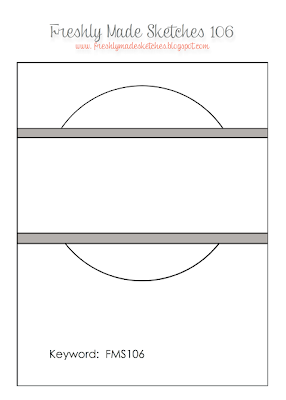 I needed to create a couple of birthday card this past weekend, I did a random search for card sketches and this is what I found. There was a used stamp sale this weekend and there is always more then stamps available and I found a couple of 6 x 6 paper packs including this one. I fussy cut the present and popped it up with foam tape and I finished with some sequins. I am still feeling the effects from a nasty cold I picked up last week, my poor husband was tapped to get the bug on Friday. Needless to say it was pretty quiet around our place this weekend. Enough of my grumbles :) it is time for a new Merry Monday Christmas Card Challenge, Lesley has posted this vintage image for inspiration for this weeks challenge. I don't think a card can get much more simple than this. 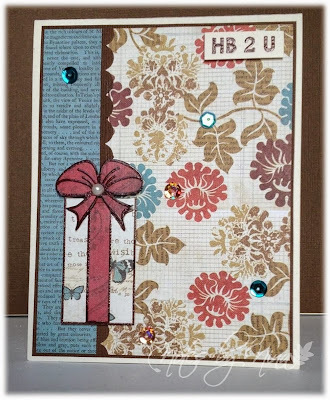 I cut out a piece of DP then added a this brown border then I added some twine. 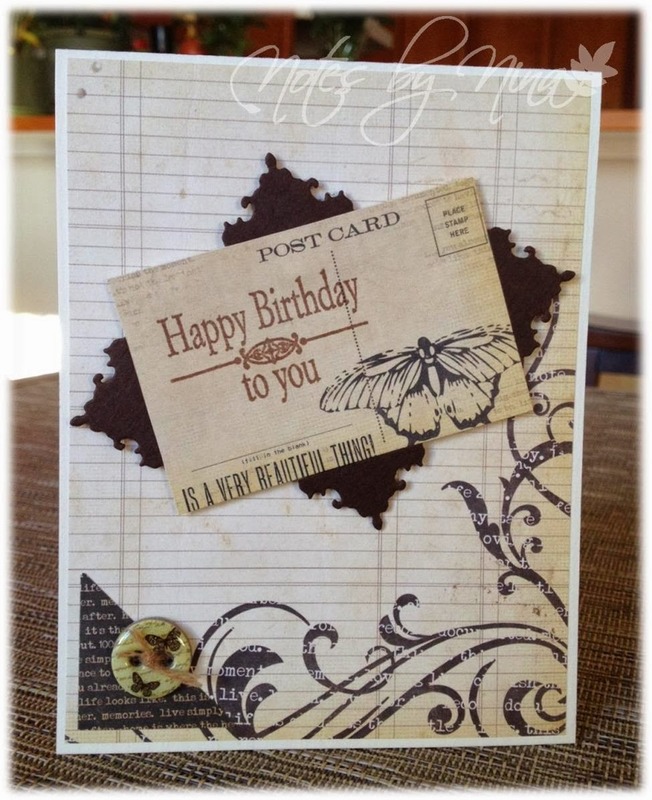 The sentiment is heat embossed in brown and popped up with foam tape, I finished with some brown pearls. 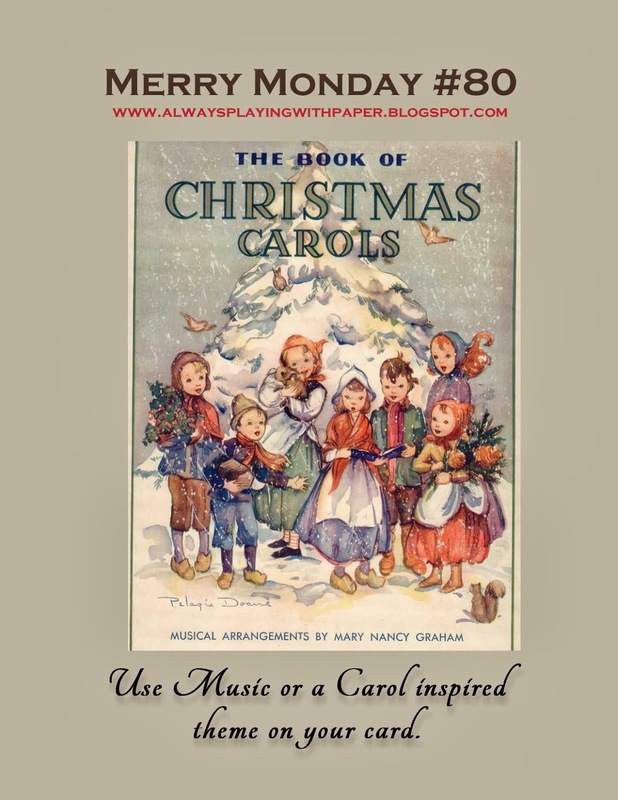 I love the music in gold on the DP and this Verve sentiment ties in nicely for both music and Christmas carol. Supplies: Cream and brown card stock, Designer Paper - Recollections, Verve - Peace on Earth, twine, pearls. 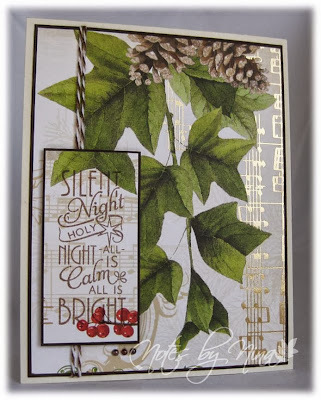 Stop by Lesley's blog and see the wonderful Design Team creations and join in the fun and play along with the challenge. I have been sick with a cold this week so I have not done much of anything including crafting. I do have a card from last weekend from when I was trying for a windows card for the family challenge. This was my first attempt. 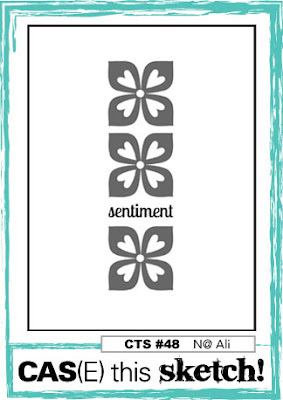 I have not used this Sizzix Die cut in a while and it is one of my favorites. I used Spellbinders to create a frame then raised it up with foam tape. I added some pearls to the flourish and finished with a sentiment. 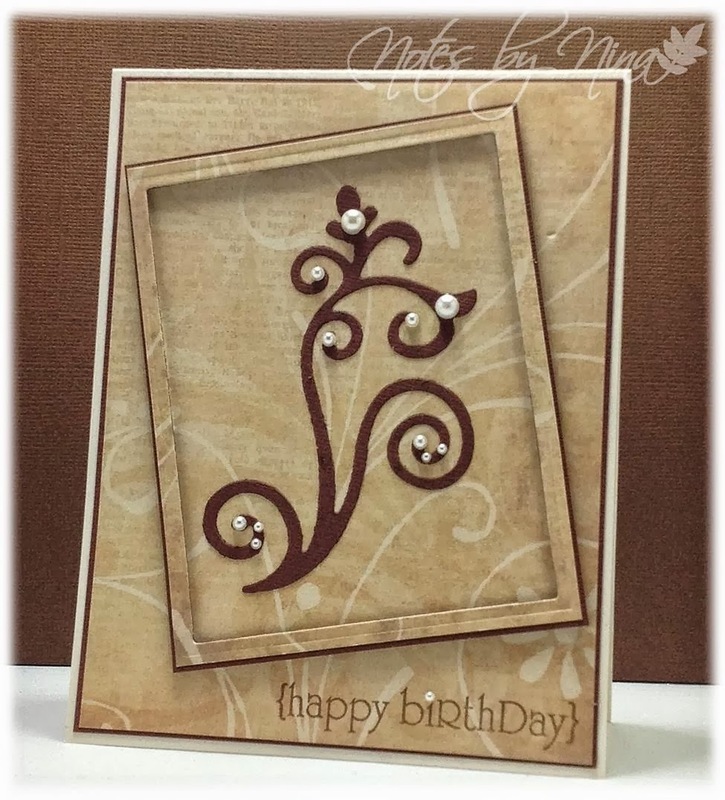 Supplies: Cream and brown card stock, Designer Paper - Recollections, Papertrey Ink - Birthday Bash and , Sizzix - Flourish, Spellbinders, gems. Another technique challenge to share, the ladies in the family are at it again and trying something new. It was time for me to pick the technique and I wanted to try a window card, I don't think I managed to get it right but it is all about getting crafty. This is the technique video I used as a guide. I used Spellbinders to cut a 'window' but I popped it up rather than receded it. I heat embossed the vase and flower then fussy cute them out. I added the sentiment and finished with some gems. 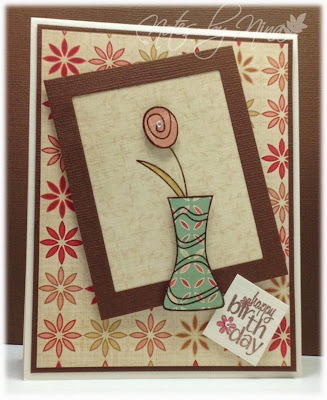 Supplies: Cream and brown card stock, Designer Paper - Cosmo Cricket, The Stamps of Life - back2basics and flowers2share, Spellbinders, gems. 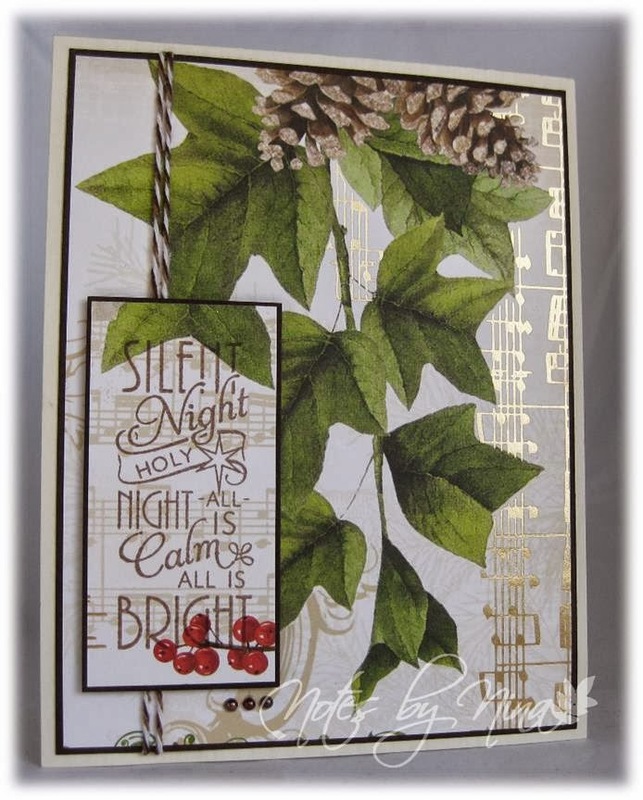 Stop by Barb and Judy's blogs to see what cards they have created using this technique. Happy Thanksgiving to all my Canadian visitors :), the Merry Monday Card Challenge this week is snowflakes and a colour challenge. 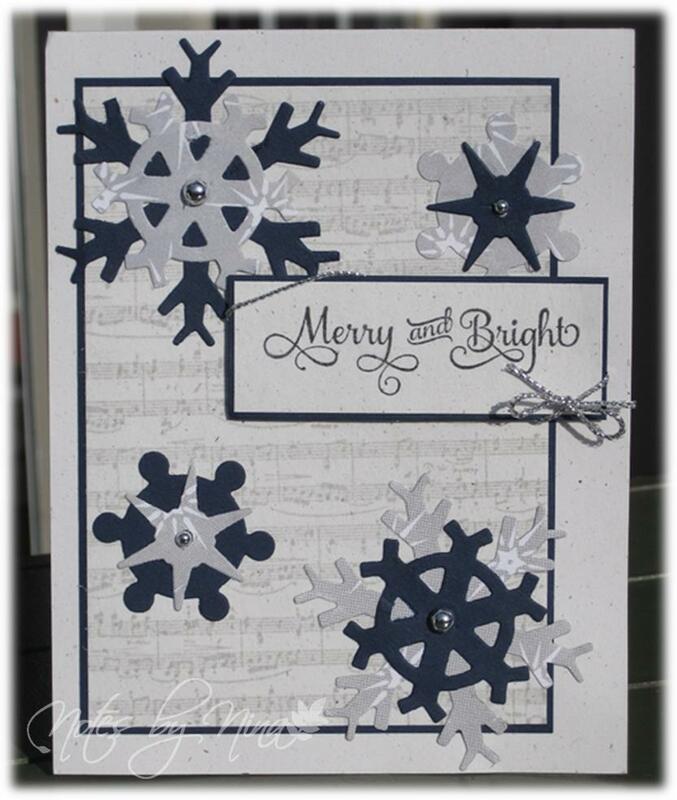 I pulled out an older Spellbinder snowflake set and used some layers, I added a musical background and finished with a sentiment, silver pearls and some twine. 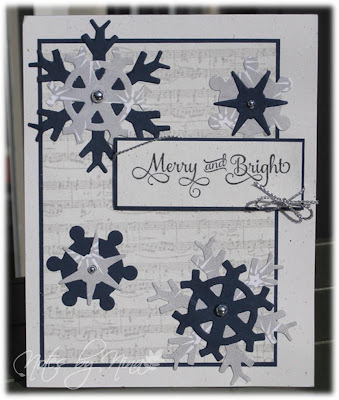 Supplies: White and navy card stock, Stampendous - Music Score, JustRite - Christmas Inner Thoughts, Spellbinders - Snowflake, twine, gems. Stop by Lesley's blog and see the Design Team creations and join in and take the challenge. 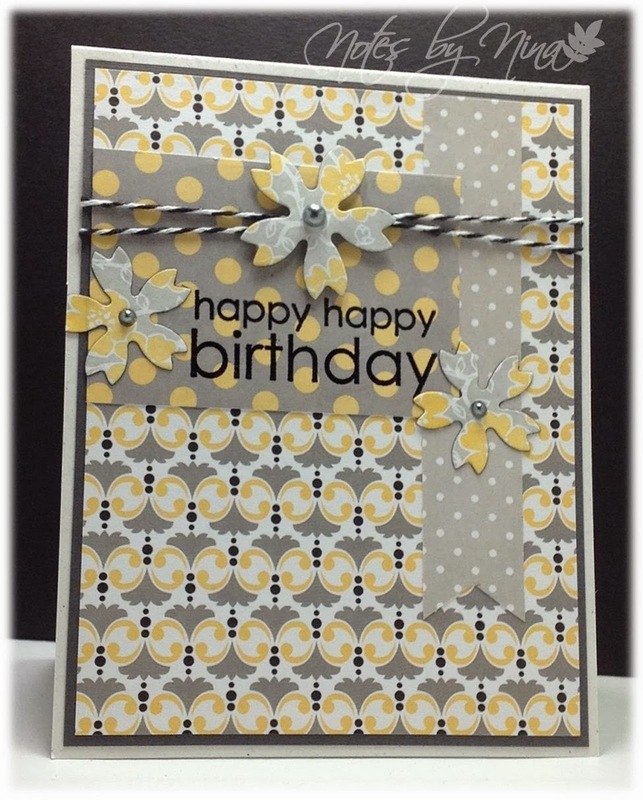 It is not very often that I do multiples of a card, I should but any repeats never seem to turn out like the first. I love the little baby boy card that I made for CAS(E) this sketch so I did make a couple, in different colours. Supplies: White and blue/green card stock, Designer Paper - Echo Park, The Alleyway Stamps - Talk to me, Memory Box - Baby Cloths, gem. 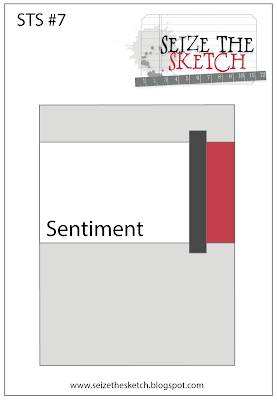 I have a quick card for the current Tuesday Morning Sketches. 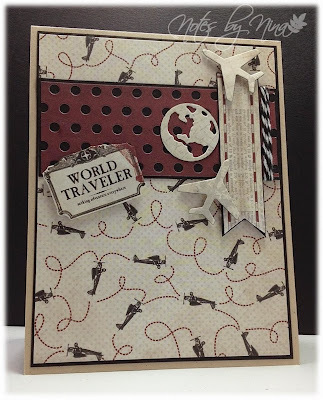 I cut up a Spellbinders die cut to frame the little post card then stamped a sentiment. I finished with a corner triangle and a button with twine. Supplies: Cream and brown card stock, Designer Paper - Simple Stories, Inspired by Stamping - Small Fancy Labels, Spellbinders, Colorbox button, twine. Happy Monday it is time for a new Merry Monday Christmas Card Challenge, Lesley has posted this beautiful image for inspiration for this weeks challenge. 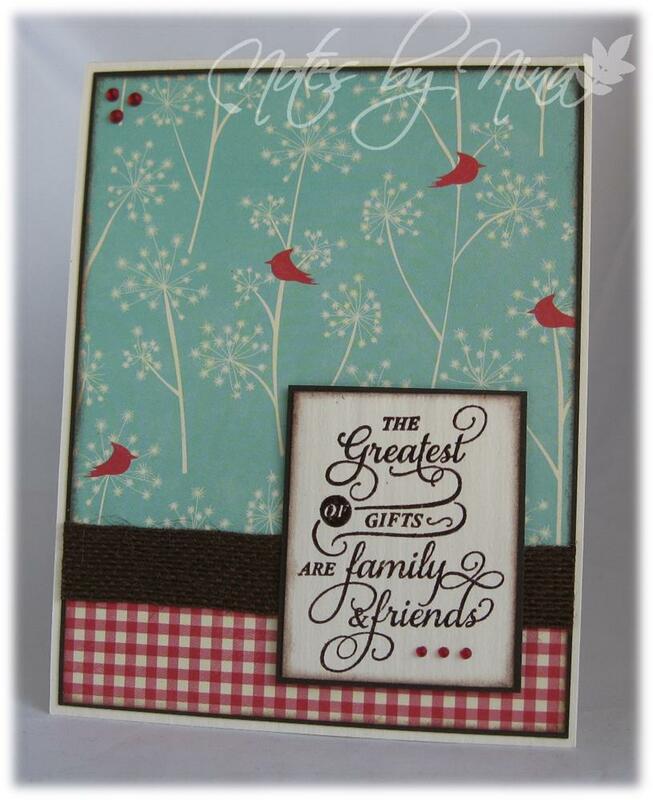 I love this fabulous paper, I think it gives my card a country feel so I chose a sentiment to match. I added some red gems and burlap ribbon to finish. 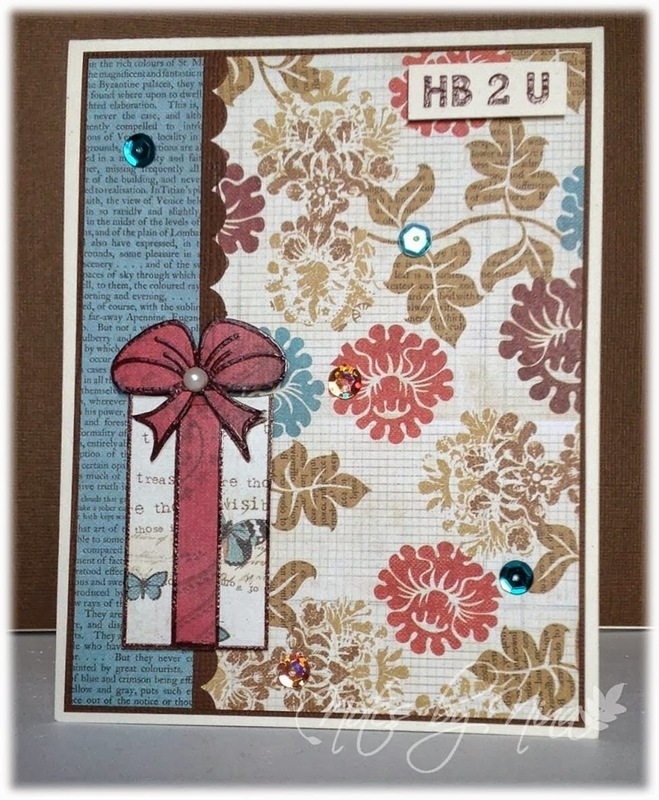 Supplies: Cream and brown card stock, Designer Paper - Jillibean Soup, JustRite - Christmas Inner Thoughts, burlap ribbon, gems. 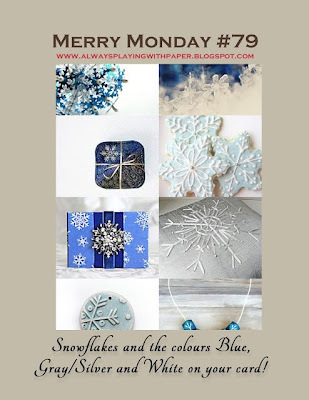 Hop over to Lesley's blog and see all the wonderful Design Team creations and join in the fun and take the challenge. 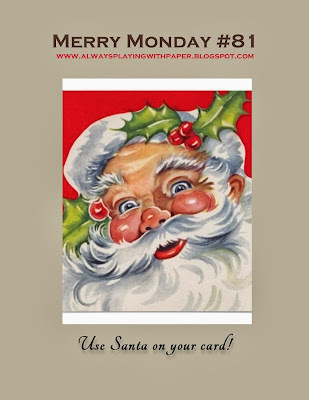 Do you remember the tongue twisters that we always seem to try as kids, as I was making this card this kept running through my head.. Rubber baby-buggy bumpers, of course it was never right. I don't know if it is just me but there seems that there are babies and ladies expecting everywhere, this card is for a little boy coming soon :). The current CAS(E) this sketch was perfect. I found these cure little onsies this summer, aren't they cute. I have them popped up with foam tape, I added a tiny sentiment is brown and finished with a heart with a gem. A quick post for today, it is a pretty fall day and I am going to go for a walk in the sun. This card is for the current Freshly Made Sketches. 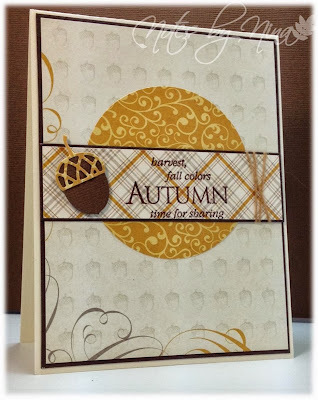 I am in love with this little acorn die cut and I had not cleaned up my mess from using the Echo Park Reflections Fall paper pad so I made another autumn card. I added a little twine and heat embossed the sentiment. 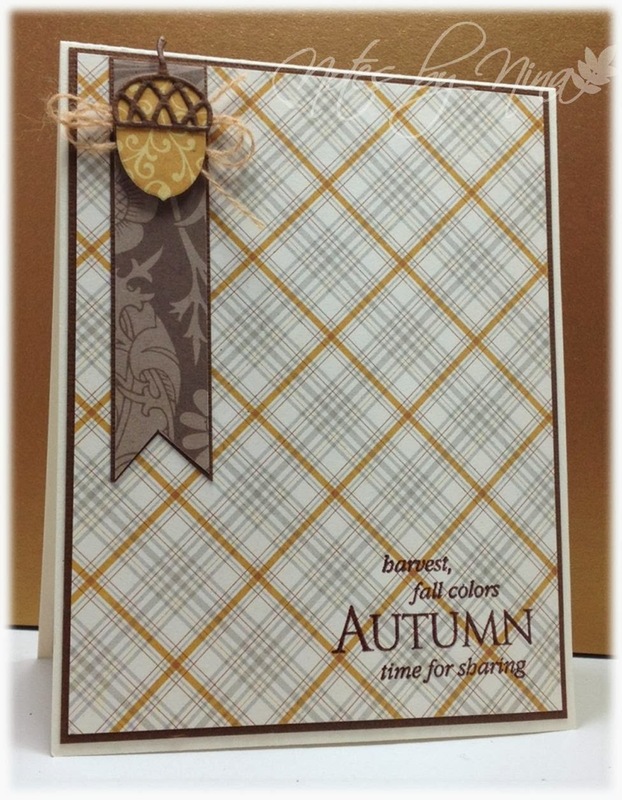 Supplies: Cream and brown card stock, Designer Paper - Echo Park, Hero Arts - Autumn, Memory Box - Nutty Acorn, twine. I started my day with a trip to Costco where I picked up way to much to carry in my arms and lost a carton of Blackberries, not the most elegant thing to witness as I am scurrying around trying to pick up berries all before they were stepped on. It did not help when the cashier looked at my half empty package of blackberries and said where's your cart... there was no way I was going back for another berry packet or to stay long enough for a cart. I then did a little trip to a local scrapbook store where I a purchased a little something to ease my earlier fumble, I paid for my goodies and promptly walkout the store.. without my purchase. Least I had not crawled into the car yet and I figured at that point if I could make it home without crashing the car it would be good for me to stay there. 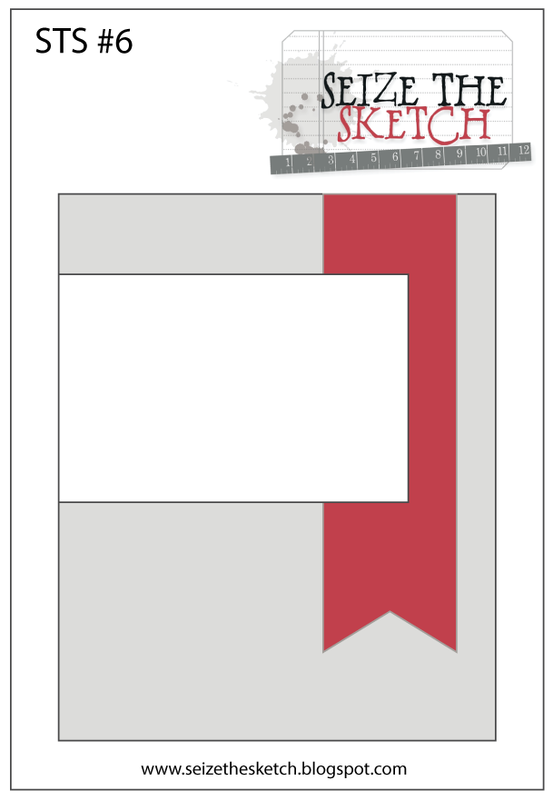 So I have been cocooned away with my craft supplies to participate in World Card Making Day so I am joining in the challenge over at Tuesday Morning Sketches. 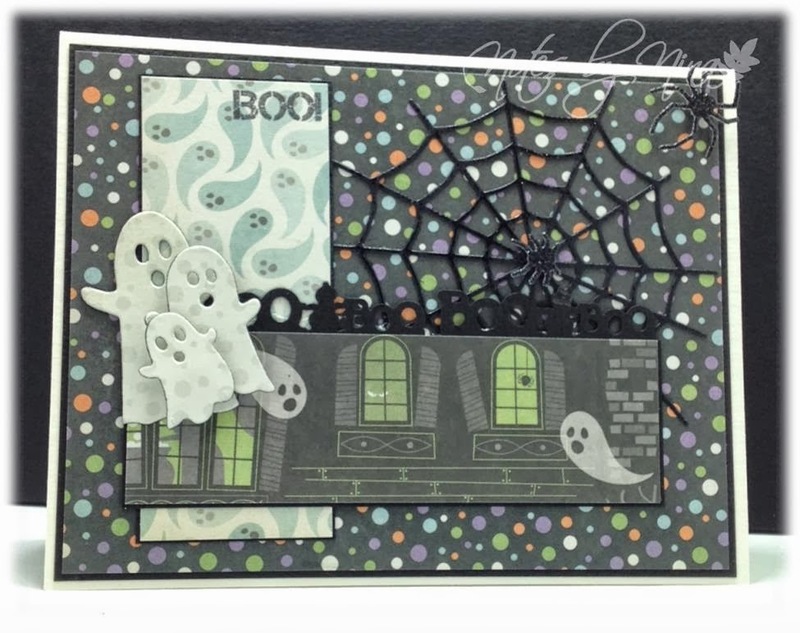 I love Halloween cards so I put together a few ghosts and spiders. I added a spider web that is sprayed with Goosebumps, the spiders are die cut from glitter paper and I popped the Ghost trio with some foam tape. My used my Boo border so I had to switch up the sketch a little so the words would not be upside down. 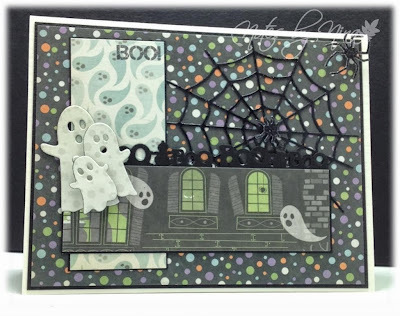 Supplies, Cream and black card stock, Designer Paper - We R Memory Keepers, Memory Box die cuts, The Alley Way Stamps - Ghoul Friend. I love fall cards and could not resist creating one for the current Seize the Sketch challenge. Isn't this little acorn cute, I used a die cut for the two sections and popped it up with some foam tape, I added a little twine in behind and I heat embossed the sentiment in brown. I found the cutest digital scrapbook kit yesterday when I was searching for something to use for a princess themed card. I printed off the papers, frog and princess then fussy cut the princess and frog. 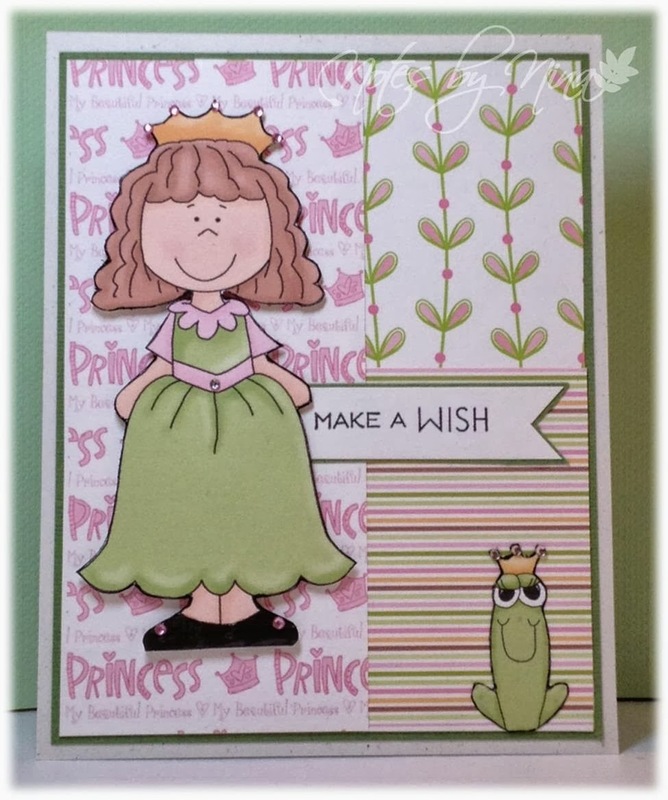 I layered the papers then added the princess popped up with foam tape. I added some Glossy Accents and gems to her slippers and gem to the crowns. I finished with the sentiment. 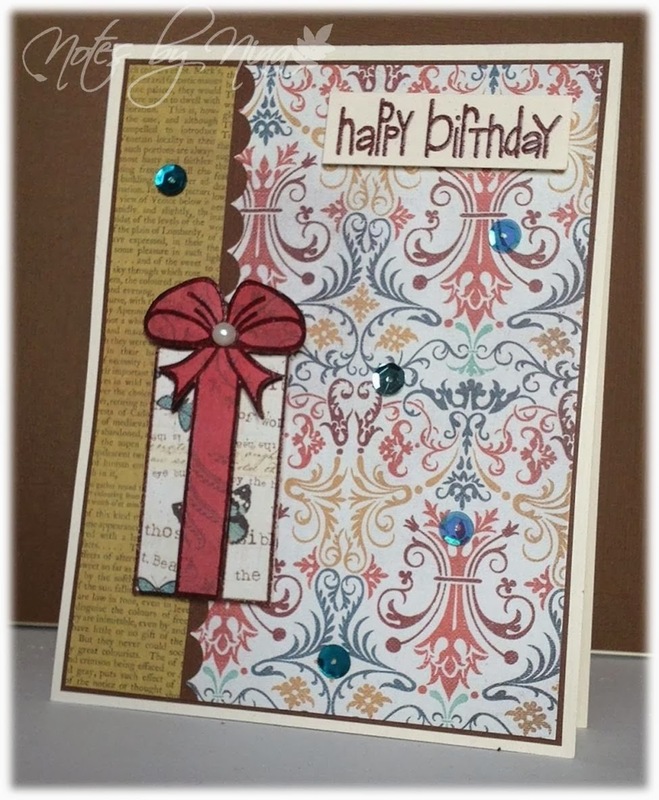 Supplies: White and green card stock, Designer Paper - Designsby Linda Nee, Verve - Birthday Phrases, gems.